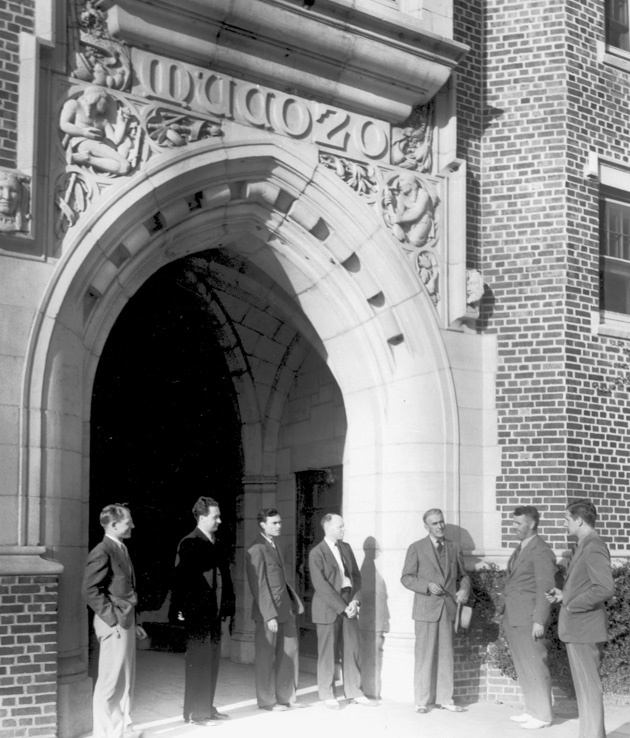 ﻿ Rudolph Weaver, architect for the Florida Board of Control,and six men stand near the entry arch at Sledd Hall on the campus of the University of Florida. Rudolph Weaver, architect for the Florida Board of Control,and six men stand near the entry arch at Sledd Hall on the campus of the University of Florida. Rudolph Weaver, architect for the Florida Board of Control, and six men stand near the entry arch at Sledd Hall on the campus of the University of Florida. Photograph 8974 from the University Archives Photograph Collection.